The Kate Spade Designer Original Wristlet Phone Case is a great option for girls looking to add some style when carrying their iPhone. This branded wristlet looks just like a clutch from the outside and features a beautiful and sleek design, with gold hardware. 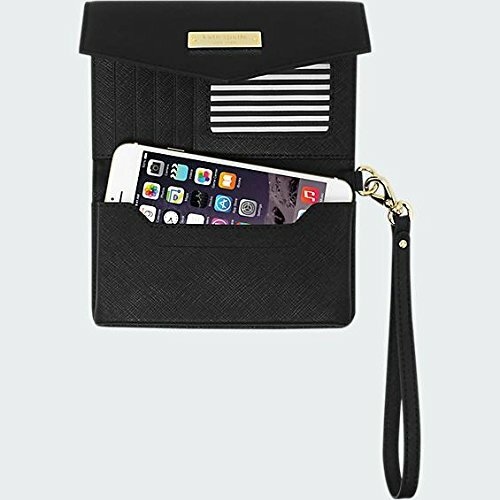 This wristlet case can fit in any smartphone that has up to 4.7" display screen and not just the iPhone 5, making this a versatile case to use. You can also use the wristlet as a casual clutch on a night out even if not putting the phone in due to its stylish design.